Ponzi schemes and greed ran unbound until the house of cards fell in 2007 and 2008. 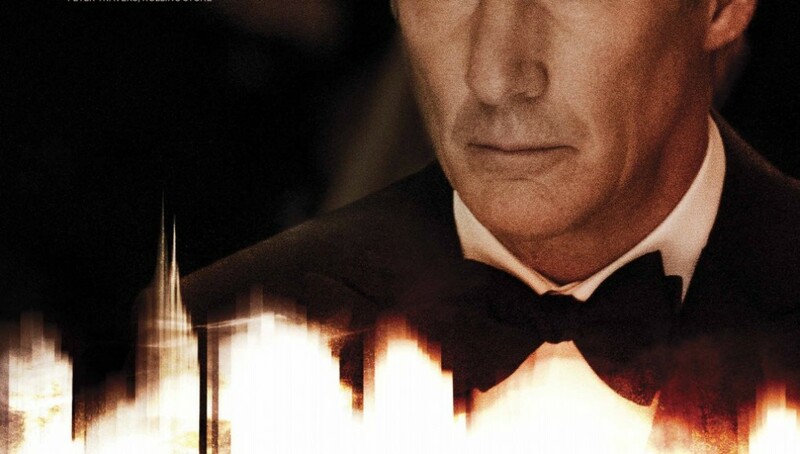 Arbitrage takes the topical themes and issues of the economic collapse by the throat in this financial thriller, showing how financial masters over reach then cover their tracks with money. Known as the Oracle in certain business circles, Robert Miller (Richard Gere) has become accustomed to a certain lifestyle with his wife Ellen (Susan Sarandon) and his daughter Brooke (Brit Marling), who is also his company’s CIO. Robert has also begun to balance some dubious affairs, including one with his mistress Julie (Laetitia Casta) and another with embezzled funds to cover up his suspicious behavior for a required audit for the sale of his company. Robert has balanced these elements well, until he briefly nods off while driving with Julie late at night and crashes the car, killing Julie instantly. To keep his affair from surfacing, Robert leaves the scene of the crime and uses a pay phone to call Jimmy Grant (Nate Parker), the son of his deceased driver, for a quick favor. Robert owns a trading empire, but one that is faltering thanks to his firm’s cooked books. His oracle status is revealed in the first scene where his interviewed by Maria Bartiromo as herself. When you build an empire, especially one that is situated in Wall Street, you surround yourself with powerful and talented people in hopes they can pull off everything thrown at you, and what they cannot fix, money can. 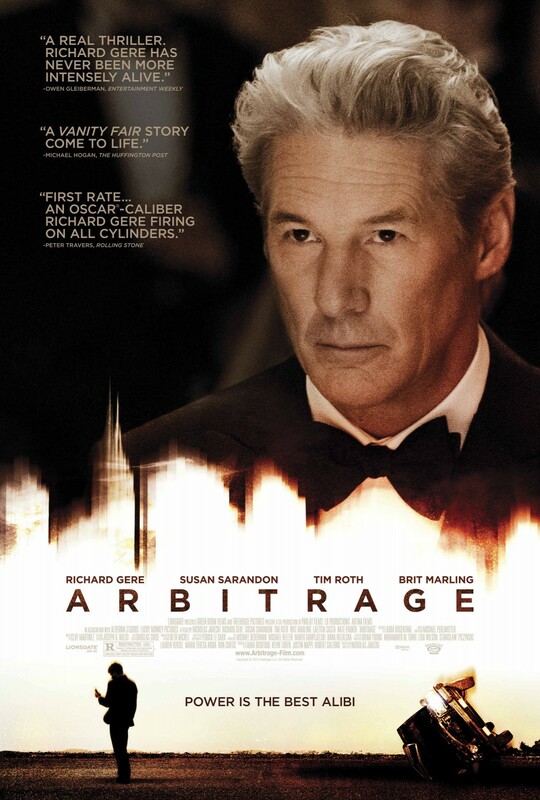 Arbitrage is essentially an allegory for the greed in Wall Street and the investment bankers who got away with murder. As very few of the investment bankers whom were responsible for the economic collapse in recent years were indicted, the film uses relevant and topical issues to support the films many conflicts. Robert can buy anything, anything. He has got the best attorneys, best company personnel, and even the drivers. Robert’s ability to leverage favors and buy whatever he wants is exemplary of this industry-wide rhetoric. The film even considers the “money fixes everything” mentality, or as Robert puts it, “what else is there?” Indeed, Robert is an antihero in which we loathe, but anything but success for him would be unsatisfactory. Robert and Jimmy are both being tailed by detectives, headed by Detective Bryer (Tim Roth) regarding Julie’s death. This plot uses cliché and implausible elements found in television procedurals to provide clever plot points. In fact, Robert’s own attorney (Bruce Altman) even makes a quip about how real life is not like television shows, and a third act reveal reverses CSI-like shows’ implausible abilities to zoom in and clarify any image. Arbitrage surprisingly juggles all these affairs well and comes out the other side as an effective thriller. Written and directed by Nicholas Jarecki in his first feature-length narrative, the film is both biting and stirring, clearly showing Jarecki’s composure and talent. Richard Gere provides one of his best performances in years as a sly fox whose hands happen to be on one too many plates. His bland acting style has allowed him to coast through most of his career, but here he excels at a man fighting for his risks. Tom Roth’s relentless role as a detective eye for detail puts insurmountable pressure on Robert. Lastly, Sarandon and Marling both serve as formidable opponents to Gere’s nasty persona. Arbitrage ends abruptly, a cop out some might feel. Yet, the most important conflicts in the film have been solved. This ending supports the above analogy and exemplifies Wall Street moguls running around with bailout money while the common middle class citizens continues to struggle. Walk into the film with low expectations and you will surely be delighted by the time the final credits roll. It is a suspenseful financial thriller that does not require the spectator to be versed in complex finance, but the film’s conflict certain fits the film’s title well.